Meet at Black + Vernooy, 208 W. 4th St., to tour the studio and prepare for a walking tour. During this walking tour of downtown buildings and great streets designed by Black + Vernooy, you'll get a close look at the history and design of the buildings, engage in a discussion of how these downtown spaces relate to the street and urban environment, and learn about the economic power of streets to re-imagine public space and encourage economic development. 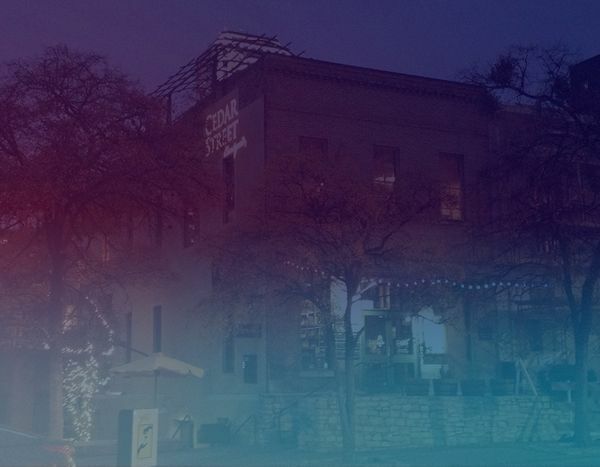 Join for a lesson in the history of downtown's development from one of Austin's most famous urbanists. You'll also gain access to visual e-book about Austin's great streets project. Buildings will include: Cedar Street Courtyard, Compass Learning Center, and AMLI Downtown. Great Streets will include Colorado and Second Streets. The walking tour will be led by Sinclair Black, with assistance from Stephi Motal and Heyden Black Walker. You'll conclude back at the studio with an informal discussion / question and answer session, where you can further discuss these projects with Sinclair and his team.